Crested Butte, Colorado brings the wild west’s history back to life… Located in Southwest Colorado, only 27 miles from the airport in the Gunnison National Forest and the Elk Mountain Range, Crested Butte has nearly 1,100 acres to ski and an average snowfall of 240 inches, Enjoy panoramic views and endless powder with groomed runs for all levels of skier and summit lifts to over 12,000 feet! The town of Crested Butte is Colorado’s largest National Historic District, originally settled in the 1880’s as a mining supply camp--it is arguably the friendliest, most charming town in the Rockies. Wander down Elk Avenue and several hundred years of history speaks for itself—this is a great Colorado ski town! There are blocks after blocks of quaint shops, excellent restaurants, and exquisite galleries with charming façades at every turn. 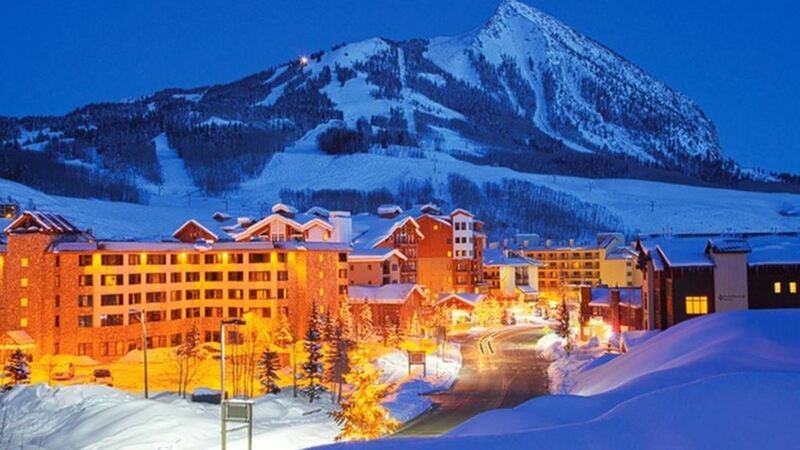 Sample the thriving nightlife as well—the town comes alive for après ski—pubs, clubs, and microbreweries highlight the town nestled below towering peaks. Town shuttles depart every 15 minutes…Come join us to this frontier for some wild-at-heart adventure and see all the reasons many ski enthusiasts call Crested Butte their favorite destination! 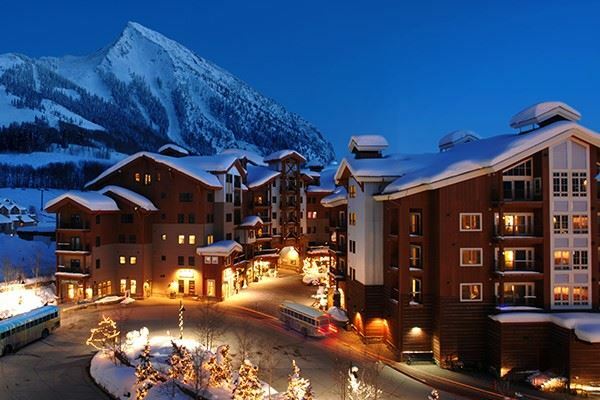 The Lodge at Mountaineer Square, Crested Butte’s iconic luxury condominiums, located in the heart of the ski area just steps from lifts, shops and restaurants. Perfect for larger groups of friends…Amenities include indoor/outdoor heated pool, hot tub, fitness center, sauna, Trackers Bar & Lounge, full-service front desk and ski storage. Room amenities include wi-fi, coffee, tea, bottled water and luxurious robes. All condos have full kitchen, FP, W/D & balcony. MBRs have a king bed; 2nd BRs have a queen bed. PACKAGE PRICE: $ 1,844.00 per person, 4 per 2-bedroom/2-bath condo. Land only package price: $1,246.00. Add $910.00 for single supplement. GROUP LIFT TICKETS: 4-day, $280.00; 5-day, $340.00; 6-day, $396.00. RESERVATIONS: Orlando Ski & Travel Club membership, deposit and a completed OSC trip application are required to reserve space on this trip. Go to www.orlandoskiandtravelclub.com to both register and sign up for this trip. Parties of 2 or more must register separately with their own email login. CANCELLATION POLICY: All cancellations must be received by Orlando Ski and Travel Club in writing. No penalty if cancellation is received prior to July 29, 2018; $100.00 per person cancellation fee if cancellation is received after July 29, 2018, but before Oct. 17, 2018. After Oct. 17, 2018, cancellation will result in forfeiture of the deposit paid or the total cost to the club of such cancellation. No refunds after Nov. 23, 2018. Trip Insurance is highly recommended. Go to OrlandoSkiandTravelClub.com for options.